Strike Blazinger's action gameplay currently consists of high-speed forward flying and shooting in the vein of timeless classics like Atari's arcade "Star Wars", Williams' "Blaster", Sega's "Buck Rogers: Planet of Zoom", "Space Harrier", "Galaxy Force", and Taito's "Night Striker". Though we're overflowing with knowledge and passion for the genre - our goal is to do much more: taking it beyond the next level with modern technologies and game design, while engaging the player with a compelling sci-fi mythos and quest. 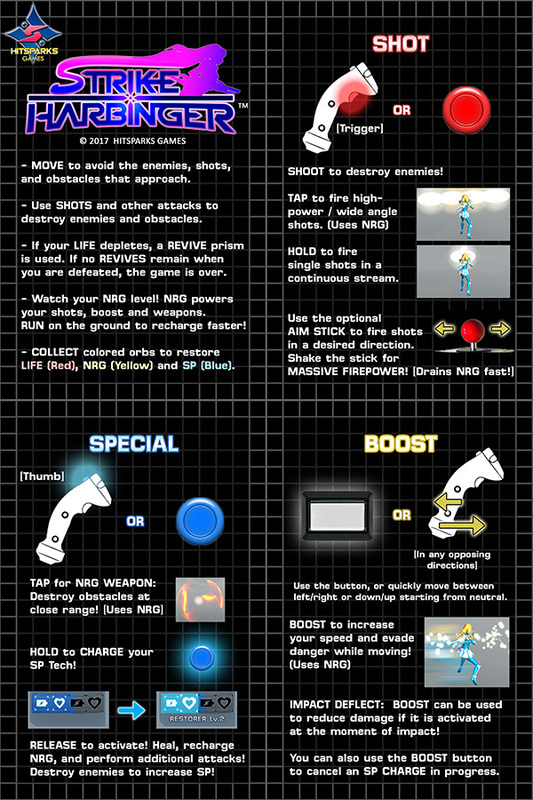 In the moment-to-moment gameplay, new features for movement and attacks set Strike Blazinger distinctly apart from its predecessors such as aiming ability, close-range weapon attacks that can destroy bulletproof obstacles, an energy resource system that balances your destructive output and adds a benefit to running on the ground, boost-dashing to get out of tricky situations, and a method to Impact Deflect or "Parry" oncoming hazards. Each of these maneuvers are meant to be simple-to-learn and satisfying to master, so as not to detract from the fun blast-and-dodge action at the game's core. Our hardware target is 120fps gameplay supporting 1440p 120hz monitors on PC and arcade. The game supports gamepad as well as keyboard/mouse in addition to custom-developed controls for the arcade version. This is just the beginning. As the game is still in a very early phase, additional gameplay mechanics, weapon systems / upgrades, characters, and play styles will be revealed as development progresses! IMPORTANT! To see the video at the full 60FPS FRAME RATE, please select "1080p60" or "720p60" from the options gear at the bottom of the video roll-over frame! 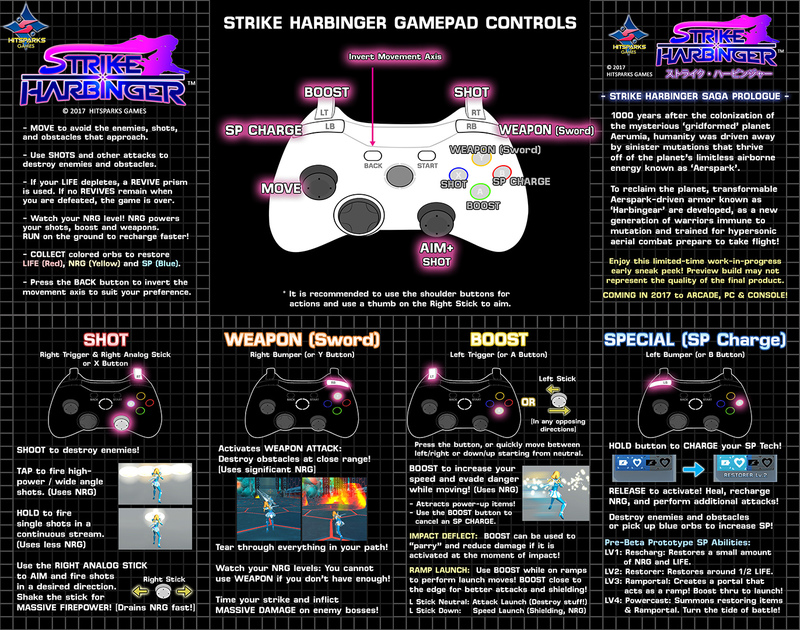 Strike Blazinger is planned for a 2019-2020 release on PC, console, and in arcades!